This article is written by KUT’s reporting partner the Austin Monitor (formerly In Fact Daily). Below, listen to an interview with author Mark Richardson. Current long-term plans – such as the 2035 CAMPO Transportation Plan – will do little more than maintain the current level of traffic bottlenecks on Interstate 35 and won’t take enough vehicles off the road to significantly cut commute times, according to a report on traffic congestion on the I-35 corridor through Austin. 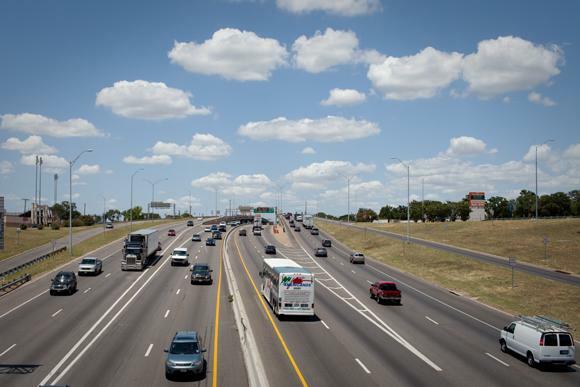 The report, Long-Term Central Texas IH 35 Improvement Scenarios, was done by the Texas A&M Transportation Institute as part of a study ordered by the 83rd Texas Legislature. It is a comprehensive look at long-term strategies to alleviate traffic congestion on I-35 between Buda and Round Rock. Ginger Goodin, a traffic engineer with the A&M Institute’s Austin office, told Travis County Commissioners Tuesday that the report’s conclusion is grim: if residential and employment growth each continue on their current pace through 2035, Central Texas faces a future of extreme traffic congestion on IH 35. The CAMPO 2035 plan is a series of regional road improvements planned by the Capital Area Metropolitan Planning Organization in 2010 to be implemented by the year 2035. An update to the plan, CAMPO 2040, will be considered in 2015. Goodin said the study is the result of a computer modeling exercise that looked at current short- and medium-term plans to deal with congestion on I-35. The authors, using the 2035 CAMPO plan as a baseline, offered a series of seven scenarios in which traffic flow on I-35 might be reduced. The scenarios range from adding Express and HOV lanes with dynamic tolling to adding up to three new lanes in both directions constructed under the current roadway between Buda and Round Rock. But the report also suggests that Central Texas will not be able to build its way out of the problem. It instead suggests that in addition to infrastructure changes, officials will have to find ways to change the travel behavior of local residents. 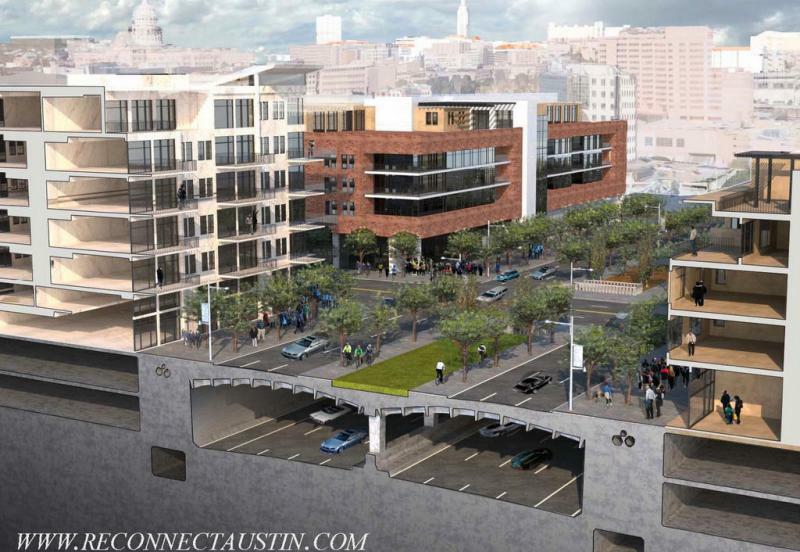 The A&M study projects a three-hour commute from Round Rock to downtown Austin by 2035, which it says would likely be considered unacceptable by commuters and businesses alike. The study says changes in where businesses locate, increases in the cost of commuting and access to alternative sources of transportation will be needed in order to bring the necessary changes in behavior to affect the traffic patterns. Reducing retail shopping trips by 10 percent region-wide, replacing them with online shopping. Increasing HOV, transit, and non-motorized usage each by 25 percent, decreasing auto vehicle usage. The report also suggests that local officials work to expand alternate models of travel, including bus, rail and others; develop other primary corridors such as US 183, SH 130, RM 620 and others; expand capacity on Austin’s east-west thoroughfares, such as Red River, North Lamar and Burnet Road; and explore options of additional traffic capacity running parallel to I-35. The report did not deal with the issue of what any of its suggestions might cost, other than to note that the tunneling option could cost in the tens of billions of dollars and present serious environmental and engineering challenges. However, Commissioner Gerald Daugherty said cost is what is keeping local officials from taking many of the steps outlined in the report. But Commissioner Bruce Todd looked at it from a different perspective. The full report is available at http://mobility.tamu.edu/mip/. Map: Are These Austin's Worst Intersections? In Austin, it's a constant: Traffic. There’s recent statewide and local efforts to mitigate congestion – which will take substantial investment and extensive construction. So despite proposals in the pipeline, traffic will continue to be a slow-going, fast-growing problem. So, it got us wondering: What are the worst intersections in Austin?